Moldovan-Kremen is given without result but my foe resigned at move 21 (on November 6th, 2000) before withdrawing due to illness. 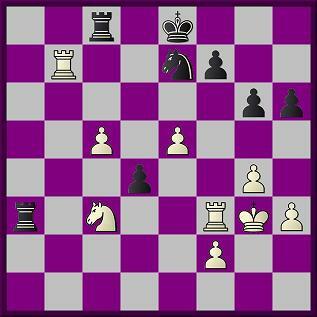 In Pitter-Moldovan, White did not play 40.g3. He sent 40.f4 (on June 5th, 2001). 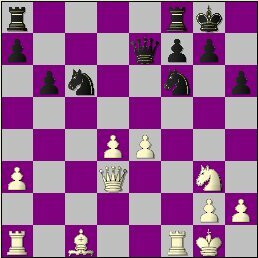 Thus, 43...Qxd6 and 44.Qc8 weren't blunders. For your perusal & download, here are the corrected contests (my best of the event), sans notes, in Java-replay and PGN. My 3rd game of the 2008 STC World Championship, where I'm currently = 9th-16th, is now scheduled for tomorrow (Wed. 7/30) at 10:00 p.m. EDT. Update - Wed. 7/30 @ 10:37 p.m. : My opponent forfeited. He didn't show up within 30 minutes of our agreed starting time. 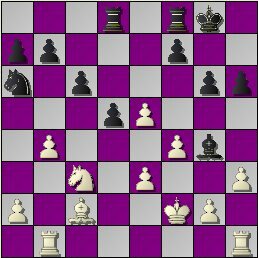 I have uploaded the annotated PGN & Java-replay of my 2nd round game from the STC World Championship. With 5 rounds to go, I lead Ian Mangion by 1 point. Here are the full, up-to-date standings plus 3 of the night's games (2 annotated) in Java-replay and PGN. I'll try to get the other for you. corrected notes uploaded 7/27 @2:52 p.m.
Carrelli-Mangion score added 8/2 @ 12:45 p.m. Thanks Don. My 2nd game of the 2008 STC World Championship is scheduled for 8 p.m. tonight. Regardless of outcome, the PGN will be pasted here afterwards. The minutes of Thursday's emergency business meeting have been posted on the KCC Minutes site. So, at the moment, I have a half-point lead over Ian Mangion. NM Mark Kernighan is 2 points back. Here are the full, up-to-date standings plus the evening's action (all 4 games annotated) in Java-replay and PGN. I have uploaded the annotated PGN & Java-replay of my 1st round game from the STC Championship. The will be an emergency business meeting of the Kenilworth Chess Club tonight at 8:15. Full details on the KCC Minutes site. There were 9 draw-offers in the game! Update 7/17 @ 12:40 p.m. The STC Bunch has posted the plain java-replay & downloadable PGN. My annotated replay & zip will follow. Tonight (Tuesday 7/15) at 9 p.m. EDT, I'll be playing my opening game in the 2008 STC World Championship. If you want to watch, join World Chess Live (all USCF members are eligible for 6 free months), download Dasher, install it, login & follow me. Moldovan 1-0 Sokolosky annotations uploaded 7/11 @ 1:12 p.m.
Wayne Burmett (-206) was the biggest upset winner. I should've lost but remained in a tie for 1st, with Ian Mangion, at 6.5. Here are the full, up-to-date standings plus four fresh games in Java-replay and PGN. 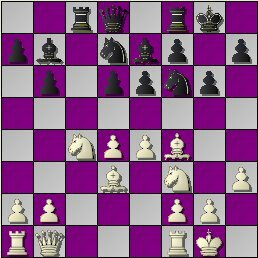 The 2008 STC World Championship, a free, 9-round event with a 60+30 time control, starts July 14th on the Free Internet Chess Server, Internet Chess Club, and World Chess Live. The top 16 finishers will advance the STC WC Finals; a knockout tournament, starting September 15th. Full details here. I qualified for the last finals, back in 2005, by winning the now-defunct U.S. Chess Live section. The entry deadline is Sunday, July 13th at 5:00 p.m. EDT (21:00 GMT). However, late joins will be accepted until round 3. To play, become an ICC, FICS or WCL member, join the STC Bunch, login and register for the tournament. Here are the full, up-to-date standings plus three annotated game from round 5 in Java-replay and PGN. Sherer-Goeller score & replay added on 7/11. For annotations see The Kenilworthian blog. The Java-replay page and zipped-PGN file for the Summer Tourney's 4th round have been uploaded along with a crosstable. links fixed 7/1 @ 11:55 p.m. Sorry for the delay, problems & inconveniences.